We teach practical skills to prepare students for the job market. Some of our students are interested in developing high-flying careers in accounting firms, business and banking, while others are more intent on starting their own enterprises. What they all share is professional ambition. Committed to helping students become successful in whatever they pursue, we have links with relevant professional accrediting bodies and align our courses to their needs to accelerate career progression. Our long-standing connections with the industry provide students with transferable and specialist skills that help them stand out from the crowd. Students have the opportunity of gaining valuable work experience placements, as well as the chance to experience a series of guest lectures from leading industry executives who share the latest industry trends with our students. 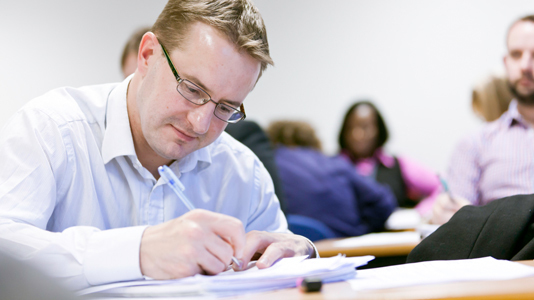 All of our individual course entries have specialist careers information. LSBU is an ICSA University Partner.